One thing we have learned over the years from helping thousands of clients navigate through the civil justice system is that finding a good doctor has an incredible impact on the patient's recovery. Maryland is truly blessed with some of the greatest doctors in the world. Look around. Johns Hopkins just might be the best doctor in the history of the world. University of Maryland Medical Center is a nationally recognized superstar facility. Sure, there are viable medical malpractice lawsuits against these hospitals and their doctors every year because even great doctors make mistakes and even great hospitals hire or affiliate themselves with awful doctors. But, by and large, the quality of the care in Maryland is top notch. Yet many Marylanders effectively pick doctors' names out of a hat. When you are picking a primary care doctor, this is a bad idea. But when picking a specialist who holds your health in their hands, it can be a disaster that can cost you your good health and even your life. There are some very bad Maryland doctors out there. You would be amazed at the number of doctors our law firm has filed against. 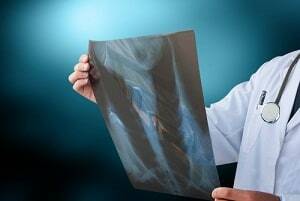 Clients call us with malpractice claims all of the time against doctors we have already sued. The oft cited statistic is that 4% of the doctors make up 50% of medical malpractice payouts. It is a stunning statistic that, as a patient, means that you want to avoid that 4% like the plague. If you have been looking around trying to get information that you can actually use about the doctor you are researching and are coming up empty, there is a reason for it: doctors have great lobbyists on Capitol Hill and in the Maryland legislature. There is a lot of information that should be released to the public about lawsuits against doctors that would help patients make a choice. Does having a lawsuit filed against you make you a bad doctor? Of course not. But it is a strike against you. Multiple lawsuits against, and jury verdicts against a doctor say a lot more. How do you find that stuff? Having access to jury verdict reports would be great but few patients have that access. Health Grades: They will give you some good statistics on finding the right hospital and even purport to give information on malpractice claims. But a quick search of some of the cases where we have gotten million dollar verdicts, newspaper articles on the case, the whole nine yards, and there is no mention of those malpractice claims. So it is hard to have a lot of trust that this information is remotely reliable. It is nice that they have ratings from patients, but that is painfully flawed too. It is an easy thing to game the system and, ultimately, if you are researching a doctor, you do not care who gives out the best hugs. You want the doctor who is going to do the best job of getting you better. This site also has some good reviews which are always interesting but sometimes they are as misleading as they are helpful. The "rate a doctor" stuff does not pick people out at random. It is usually either patients put up to give reviews or bitter patients who had a bad experience. Rarely do you get doctor reviews from the Joe Average patient. Maryland Board of Physicians website: This will help you find out the worst of apples -- doctors who have faced disciplinary problems. But you are not getting the malpractice prone doctors with this search. You also need to lookup the doctor's medical license number which is a hassle. Maryland Health Care Commission: This is a good tool for comparing hospitals. We think, when in doubt, err on the side of a university teaching hospital. Maryland really is blessed with some great hospitals. Certification Matters: Being board certified is important in many types of specialties. This website lets you know if your doctor is board certified in the type of medicine for which you need care. You really do want to lookup whether your doctor is qualified to treat the problem you have. Internet Searches: I think the internet is the best path to finding the best doctors. Google the doctor's name and "malpractice", "lawsuit", and "discipline" and see what comes up. Certainly, you have to put what you find in perspective. Our clients have won millions suing good doctors and hospitals. Because the reality is that even the best doctors make mistakes, often those mistakes harm no one but sometimes they cause serious injury and death. So one malpractice verdict does not mean the doctor is not a quality physician. But is it one red flag you need to consider? Absolutely.